Materials : Enamelled Copper, Citrine, Pearls and Vermeil. 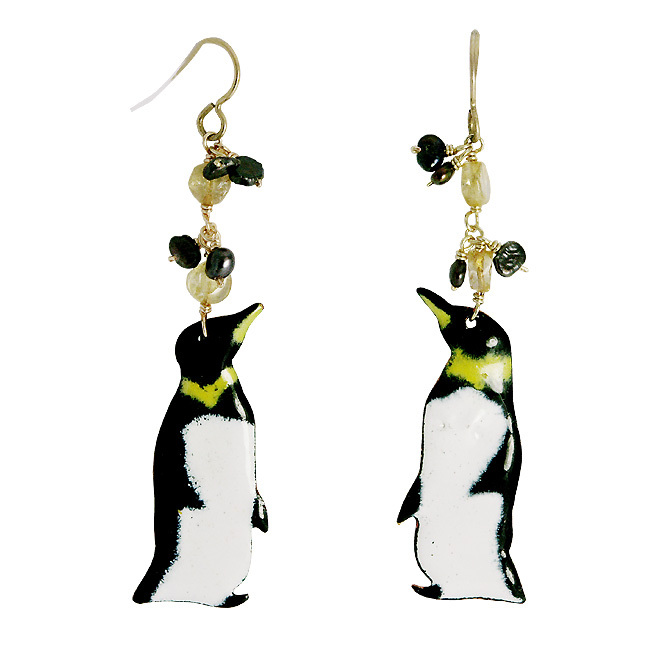 Penguin are made of white, yellow and black enamel on copper. They are attached to a cascade of citrine stones interspersed with black pearls. Hook in vermeil, small rubber stopper inclued. Unique Piece.